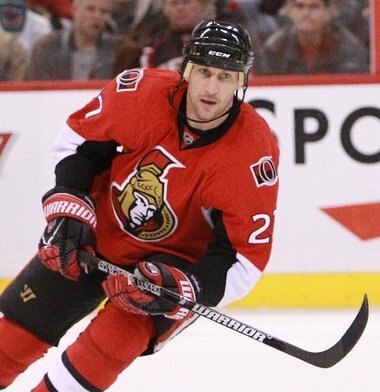 The Pittsburgh Penguins have acquired Alexei Kovalev from the Ottawa Senators in exchange for a 7th round pick. The 7th round pick is conditional and could become a 6th round pick, if the Penguins win one round. The Penguins have mulled the possibility of adding Kovalev for weeks after continuous scouting and organizational meetings. Reportedly, owner Mario Lemieux played a big part in orchestrating today’s trade. Kovalev, 38, is celebrating his birthday today and returns to the team where he’s had the most success in his career. In 345 games with the Penguins from 1998-2003, the 6-foot-2, 222-pound forward tallied 149 goals, 198 assists and 347 points. He added 11 goals and 28 points in 39 postseason contests. A two-time All-Star during his time with the Penguins, Kovalev established career highs across the board offensively in 2000-01, scoring 44 goals and adding 51 assists for 95 points. In addition to playing for Pittsburgh and Ottawa, Kovalev, who was originally drafted by the New York Rangers in the first round (15th overall) of the 1991 NHL Entry Draft, has also suited up for the Rangers (twice) and Montreal during his 18-year NHL career. Kovalev was a member of the Rangers’ 1994 Stanley Cup championship squad. Kovalev has 426 goals, 591 assists and 1,017 points in 1,282 career games. He has 44 goals and 54 assists in 116 career postseason contests. Kovalev a free agent at seasons end has 14 goals and 13 assists in 54 games played this season.